Both Christians and unbelievers of the past teach us by their examples. 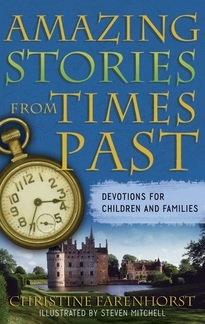 In this second volume especially prepared for family and children's devotions, Christine Farenhorst once again captivates readers with her remarkable and unusual stories from history. Each devotion includes insightful questions that encourage readers to talk about what God has done in their own lives and in the lives of Christians from years gone by. “It is vital for covenant youth and adults to be made aware and reminded of those who have gone on before—who fought the good fight of faith. Christine Farenhorst shares stories of those who were used of God to further his kingdom in difficult times. Inspirational devotional reading."